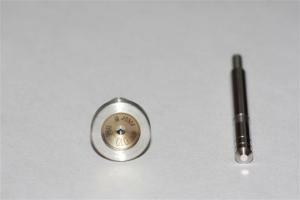 We broadcast a wide range of major supplier of injection devices even offer spare injection pump parts. Our suppliers such as BOSCH, DELPHI, DENSO, ZEXEL, SIEMENS VDO allow us to disseminate a wide range of spare high-pressure Bosch injection pump parts and spare parts Delphi pump or injection pump parts Spares lucas. You can buy or order these engine parts for your car. We provide exchange or pump parts Spares cheap diesel injection. We also do the adjustment and injector control. You can find the nomenclature of injectors or pumps using parts search module (in the top banner of this website) and by entering the reference of your pump or injector (without spaces) followed by return or entry order display all the components that relate to your pump or injector. The injector seal provides sealing between the engine and the outside and as the nozzle seal must be changed systematically. The best way to identify the injector is attached by its external dimensions, internal and thickness.